The People's Bank of China allowed the yuan to depreciate by nearly 2% against the U.S. dollar on Tuesday, the result of a surprise policy change that roiled international currency markets. The sudden devaluation is the largest in two decades, and comes amid slower economic growth and increased stock market volatility in China. The dramatic devaluation -- even if it is a one-time event -- is likely to draw intense criticism from some quarters. The U.S. has long accused China of keeping its currency artificially low, instead of allowing it to move freely in foreign exchange markets. A weak currency cheapens the price of a country's exports, making them more attractive to international buyers by undercutting competitors. China says the move actually is a response to the market. The PBOC typically sets a daily midpoint for the yuan, around which the currency is allowed to trade within a 2% band. Until now, the central bank had total control over where the midpoint was set. 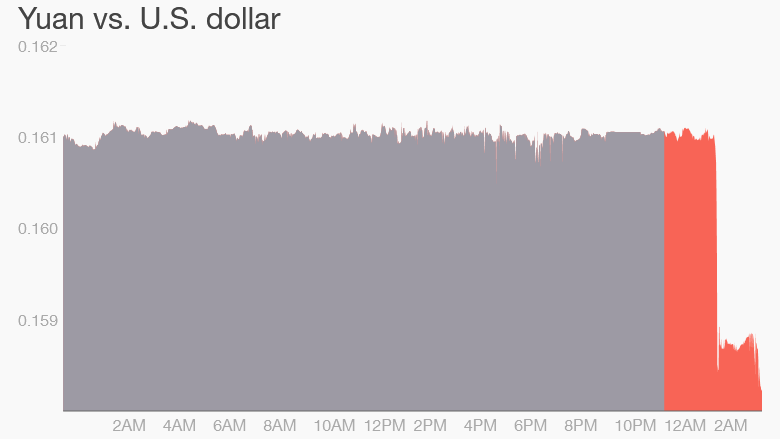 Going forward, the midpoint will be based on the previous day's closing price. 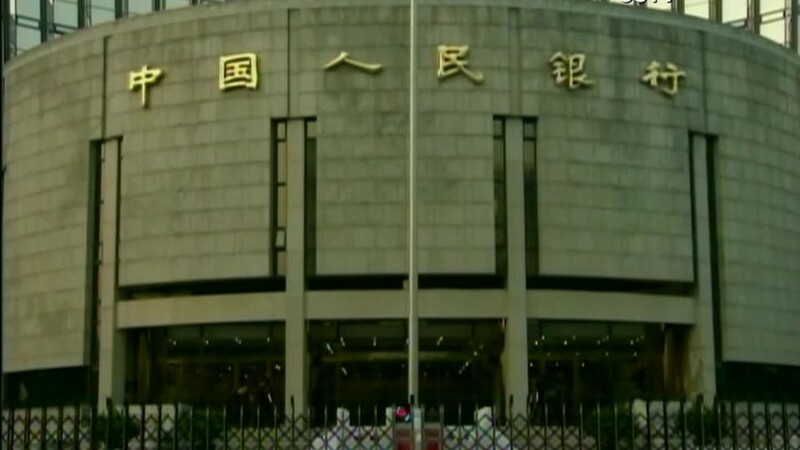 The policy change necessitated a one-time yuan devaluation of 1.9%, the bank said, because the midpoint had been diverging from the market rate for some time. "The reform of [yuan] exchange rate formation mechanism will continued to be pushed forward with a market orientation. [The market] will play a bigger role in exchange rate determination to facilitate the balancing of international payments," the bank said in its statement. Alicia Herrero, an economist at Natixis, said that the PBOC is unlikely to let the yuan depreciate too quickly. "We believe that the PBOC will not dare let the [yuan] depreciate too rapidly or too aggressively," she said. "The PBOC needs to show it is in control." Market-based reforms would boost China's campaign for the yuan to be included in an elite grouping of currencies used by the International Monetary Fund.